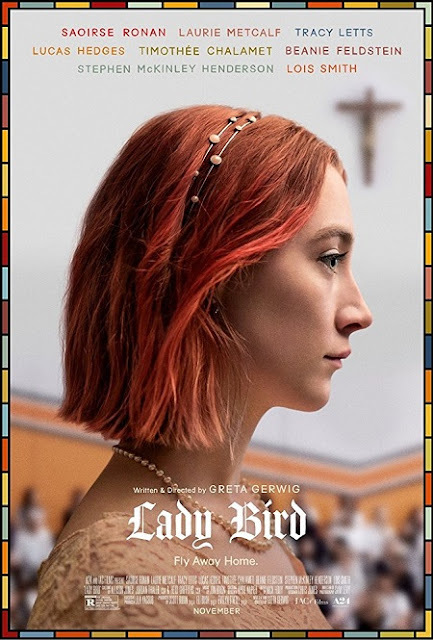 Christine "Lady Bird" puts the cross in the crossroads journey of senior year at her private Catholic high school. Her anger, angst and naivete combine to present a journey of self-in-flux, all while highlighting the truth of how her core relationships define her. Absolutely wonderful rendition by Ronan, this could have veered horribly off course, but hits just the right notes of sincerity, sarcasm and surprise that make senior year so bittersweet.